It looks like a yellow jacket but it isn't. 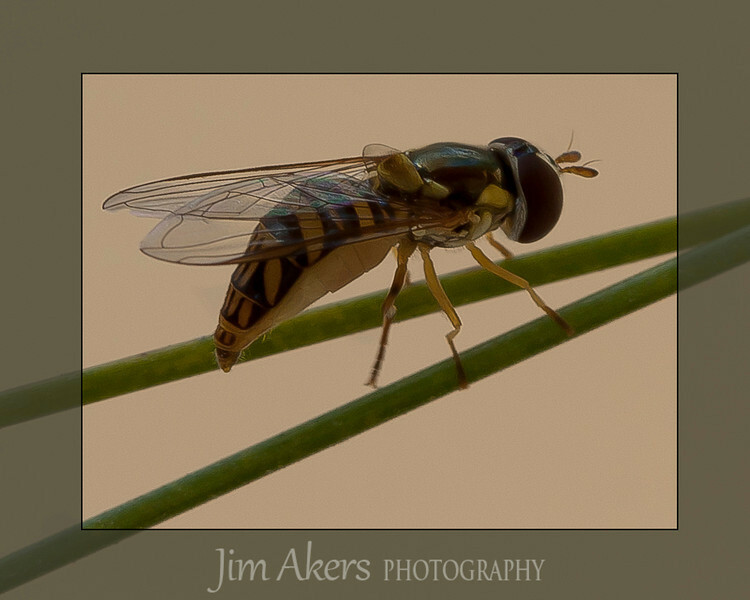 Sometimes you see it stationary in the air near a plant or flower during the summer, hence the generic name "Hover Fly". It does not sting. This insect looks big in the photo but it is small, like a fly.